Australian casino operator Crown Resorts Ltd is to commence an on-market share buy-back programme “on or after March 20,” the firm said in a Monday filing. The company stated it had already received the required regulatory approvals for the programme, which will extend for 12 months. UBS Securities Australia Ltd will act as broker on the company’s behalf. Crown Resorts intends to buy back approximately AUD500-million (US$378.8 million) worth of ordinary shares. Based on the company’s closing share price of AUD11.65 on Friday, that “represents the repurchase of approximately 42.9 million shares or approximately 5.89 percent of issued capital,” Crown Resorts stated. The firm’s shares are listed on the Australian Securities Exchange. Crown Resorts’ share buy-back programme was first announced on February 23. At the time, the move was said to be part of a set of debt reduction and capital management initiatives to be introduced by the firm. These included the intention to undertake a potential buy-back of company outstanding subordinated notes listed on the Australian Securities Exchange. On February 27, Standard & Poor’s Financial Services LLC affirmed Crown Resorts’ long-term corporate credit and issuer ratings as ‘BBB’ with a ‘stable’ outlook, citing share buy-backs as a factor in its decision. On February 23, Crown Resorts had announced turnover from its VIP gambling operations in Australia had plunged 45.3 percent year-on-year in the six months ending December 31, to AUD19.6 billion. At the time, the firm additionally announced chief executive and managing director Rowen Craigie was to step down on February 28. His responsibilities were assumed by executive chairman John Alexander. In October a number of Crown Resorts employees, including Jason O’Connor, executive vice president VIP international – were detained in mainland China. The Chinese Ministry of Foreign Affairs said at the time they had been held in relation to alleged “gambling crimes”. Mr O’Connor was subsequently formally arrested and held. 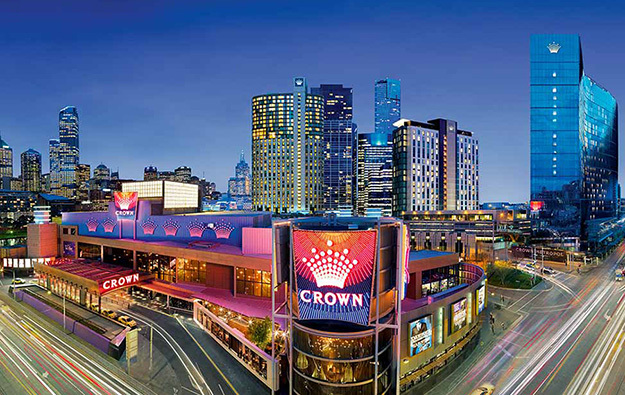 Crown Resorts is a shareholder in Asian casino developer Melco Crown Entertainment Ltd. But following a series of sell downs by Crown Resorts regarding its interest in Melco Crown over the past 12 months, the Australian firm now holds 11.2 percent of the Asia-focused entity, Crown Resorts confirmed on February 23.